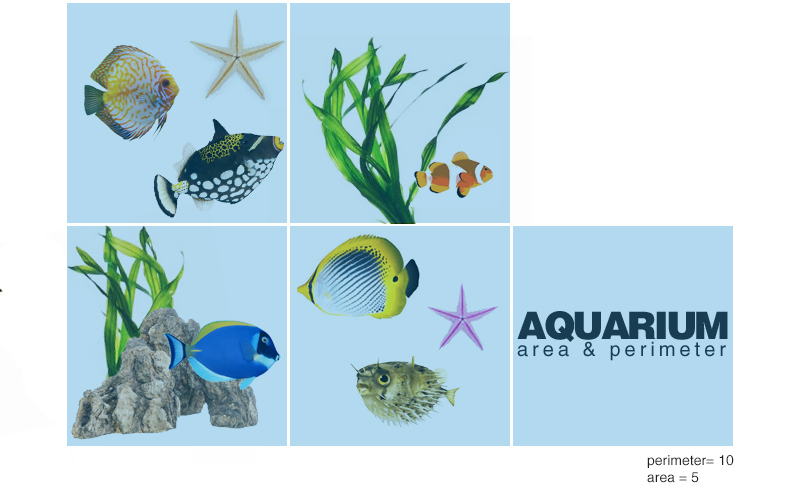 Kids are given a square sheet of blue paper (9"x9") to design a mini aquarium. Then their aquariums are used to investigate area and perimeter! Each aquarium represents 1 square inch. Students construct different irregular polygons by stacking their classmates' drawings and creating a pet store wall of aquariums! When they create a shape, they record the area and perimeter.